One Salon was born out of the desire to establish an ever-evolving platform for artistic expression. An atmosphere where hair designers can take their art to the next level, and feel like their hard work and artistic vision matter. A place where creativity knows no boundaries and melds effortlessly with the needs of each guest to produce the best look possible. This is the vision of One Salon and the passion that drives owner and founder Janine Exline. After years of honing her creative skills as a master stylist & colorist, Janine took the next step as a leader to create One Salon. A home where hair designers can excel and receive continued education in order to evolve their art. A place where inspiration, motivation and creativity are encouraged while never dismissing that each guest’s experience is tailored to match their needs. At One Salon, we constantly strive for the utmost in personal care to consistently provide you with quality and efficient service. If you are dissatisfied with any service at One Salon for any reason, please notify the Salon Manager within 7 days of the service date. 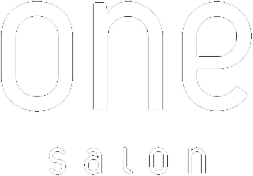 Your appointments are very important to all members of our team at One Salon. Time allocated for an appointment is reserved especially for you. We do understand that sometimes schedule adjustments are necessary; therefore, we respectfully request 24 hours notice for adjustments to your appointments and for cancellations. Please understand that when you forget or cancel your appointment without giving enough notice, we miss the opportunity to fill that appointment time, and clients on our waiting list miss the opportunity to receive services they need. Since the services are reserved for you personally, a $25 cancellation fee will apply. The cancellation policy allows us the time to inform our standby guests of any availability, as well as, keep our One Salon team member’s schedules filled, thus better serving everyone. One Salon accepts VISA, Mastercard, Discover and personal checks. A $35 bank fee will be applied to any checks returned as Not Sufficient Funds. We do not accept American Express. Gratuity is not included with any service or package; however, in appreciation for outstanding service may be given at your discretion. One Salon cannot process gratuity via credit card. No cash refunds shall be provided for hair services without One Salon first having the opportunity to cure any problems within 24 hours to client’s satisfaction. One Salon does not provide refunds on opened or used retail products. All skin care, make-up and boutique items are final sale.